This is the 10th post in our weekly fall School Stress series, a back-to-school toolkit for parents on how to best navigate their teen’s stress and anxiety — explored in our documentary BREAKING POINTS. This post is about healthy stress vs. unhealthy stress. In our high-pressure culture, teens often strive to meet the expectations of their parents, their peers and themselves. But this can often lead to anxiety, worry or stress overload — and have dangerous effects on their health. To learn more how parents can detect when their child is experiencing a ‘normal’ amount of stress and when it reaches a level at which a parent should be worried, we reached out to two pediatricians at Columbia University Medical Center, Rachel A. Bring, MD and Karen Soren, MD. What’s the difference between stress and anxiety? When should parents seek help for their teens? Stress is a very broad term that can refer to anything that causes strain or tension in our lives. 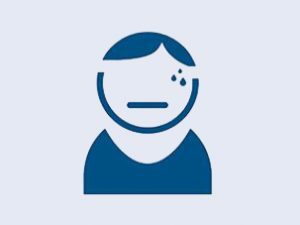 Anxiety is the feeling of worry, nervousness or unease that can occur either in response to a specific stressor (such as a test, a performance or a new social situation). Anxiety can also be a more generalized feeling of dread, with no specific trigger. Everyone can feel some level of anxiety, but anxiety can be problematic when it becomes so overwhelming that it impacts your child’s daily activities or school performance. Some warning signs include not being able to control the worrying, having difficulty relaxing, feeling restless and unable to sit still, or feeling afraid that something awful might happen. Some teens may even experience symptoms of panic, including a racing heart, difficulty breathing or chest tightness. If teens start to experience significant anxiety, they can often benefit from mental health counseling or other resources that can provide coping techniques to help manage the anxiety. This is something to discuss with your teen’s doctor. What is the difference between normal stress and “problem” stress? Are there signs parents should look for? Adolescence is a very stressful time, filled with increasing amounts of schoolwork, new and evolving friendships, peer and/or family conflicts, peer pressure, and stress relating to college applications — just to name a few. People cope with stress in different ways, and often, stress can be helpful — it can push a teenager to perform better, study harder, etc. It is critical, though, that teens undergoing stress still have the ability to function well at school and at home. Red flags indicating a potential problem include: changes in eating habits, difficulty falling asleep or staying asleep, significant mood changes including depression, anxiety, panic or anger, demonstrating violent behaviors or utilizing alcohol, marijuana or prescription drugs to deal with stress. If you have concerns about your teen specifically, you can always reach out to their doctor to address these issues. Are you seeing an uptick in anxiety in the teens and young adults in your practice? 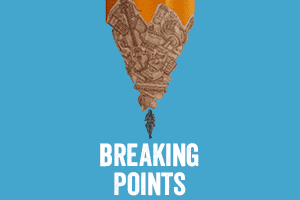 Our documentary BREAKING POINTS explores teen abuse of prescription stimulants. Do see this behavior in your patients? We do see some stimulant abuse (often secondary to diversion — a child with ADD giving or selling his or her medication to friends) in high school. But this tends to be more common in college and graduate school settings, where students tend to cram for exams and stay up all night writing papers. As abusing stimulants can have negative side effects and promote unhealthy study habits, parents need to be vigilant and discuss any suspicion of use/abuse with their child. In your practice, do you see teens who are abusing anti-anxiety medication? Yes, we do see this in teens, and it’s dangerous. Many of the anti-anxiety medications can be addictive, and withdrawal from those medications can result in irritability, sleeplessness and even seizures. Are there things parents can do to help their teens who are feeling pressure and stress from themselves, school their peers, and their parents? Adolescence is often a time when teens start to establish independence from their parents, valuing their privacy and relying more on friendships to discuss their stresses and worries. However, parents can try to keep the lines of communication open and make sure their teen knows they are always a source of support if needed. Spoken and unspoken parental pressures regarding school performance and college preparations can add to teen stress and anxiety. Parents can try to communicate to their teen that it’s okay if they aren’t perfect; making mistakes and learning from those mistakes is critical. Parents need to value effort and not be too focused on results. Parents can actually be really helpful in mitigating stress in their children by respecting effort and nurturing independence but being available for support when needed. Keep the lines of communication open with your teen and make sure he or she knows you are always a source of support. Help your teen recognize the difference between “healthy” stress and stress that is leading to a more serious problem. Value your child’s effort and try not be too focused on grades. If your teen is experiencing significant anxiety — not being able to control the worrying, having difficulty relaxing, feeling restless and unable to sit still, feeling afraid that something awful might happen, panic, racing heart, difficulty breathing or chest tightness — consider mental health counseling or other resources that can provide coping techniques to help manage the anxiety. If you have concerns, reach out to your child’s doctor. 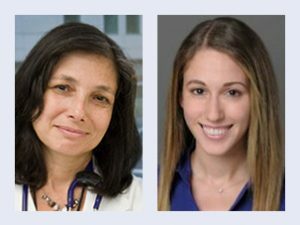 We are grateful to Karen Soren, MD, (left) Associate Professor of Pediatrics, Columbia University Medical Center, Director, Adolescent Medicine, New York-Presbyterian Morgan Stanley Children’s Hospital and Rachel A. Bring, MD, Adolescent Medicine Fellow, Columbia University Medical Center, New York-Presbyterian Hospital for sharing their expertise with us.